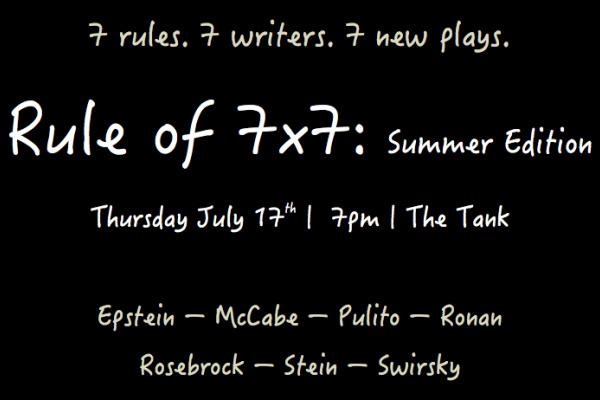 Brett is producing, writing and acting in Rule of 7×7: Summer Edition! The show features 7 ten-minute plays each adhering to the same seven rules. It’s a fun, fun night– and an after-party at the theater is included with your ticket. Tix are $7 in advance, and will be $10 at the door.